BRIGHTON-built ‘West County’ Light Pacific No. 34092 City of Wells could make the East Lancashire Railway (ELR) its permanent home if the Bury line’s new fundraising appeal to buy the loco is successful. The air-smoothed Bulleid is currently owned by Richard Greenwood, John Adams and Graham Bentley, but after 46 years of maintaining and operating the loco, they have decided to put No. 34092 on the market. Negotiations between the owners and the ELR has resulted in the railway being given the option to buy the loco for an undisclosed sum, but only if it can raise £340,920 towards these costs before the end of next year. 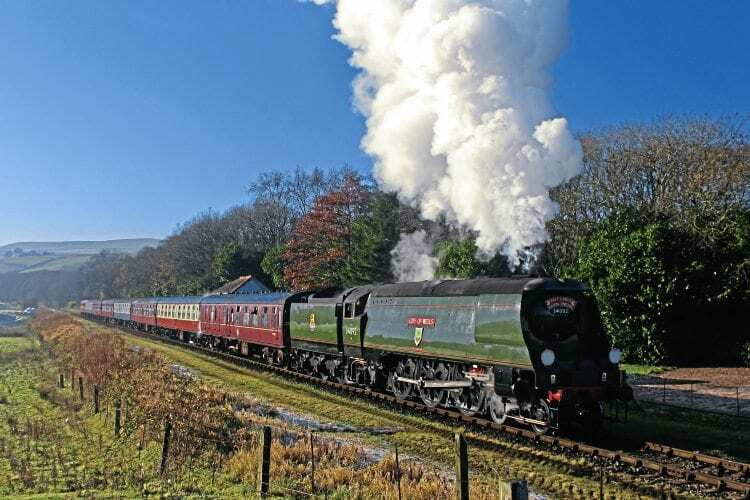 Since leaving Barry in 1971 the popular locomotive, one of the stars of main line steam in the 1980s, has called the Keighley & Worth Valley Railway ‘home’. However, it has been based on the ELR since July 2015, and during its residency has become a firm favourite with both visitors and crews. “Over the past two years we have been honoured to host City of Wells, who since her arrival has become a stalwart of the railway’s locomotive line-up,” said ELR chairman Mike Kelly.